S34E08 A Glorious Day – Outwit. Outplay. Outcast. 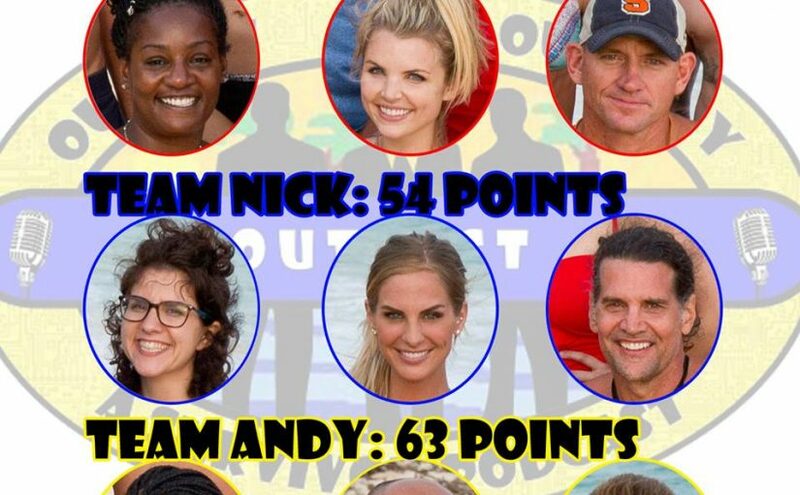 Sarah makes a move, Andrea makes a move, Nick confuses Sarah and Andrea for the eighty-seven-thousandth time this season. Ever notice how there are three players with idols and a fourth player with a legacy advantage? This could be hysterical once we reach 6 players… Also, while editing the episode I remembered the name of the player we couldn’t think of last season, it was Hannah. Finally, what I was going to say three times before giving up towards the end was that Earl is the only player to reach the end with no votes against him. NOW YOUR CURIOSITY IS SATED.